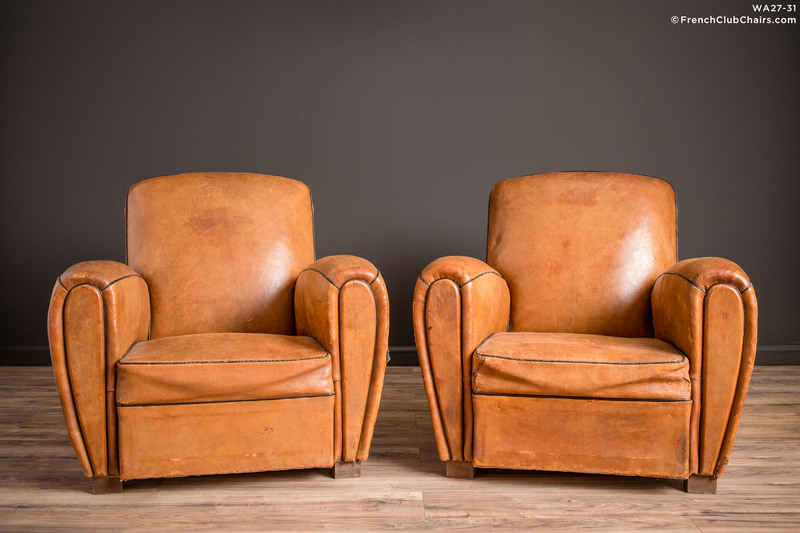 The teardrop lines of the arms give this Slopeback pair of French leather Club chairs such wonderful appeal. Kind of a timeless styling, they feature all original leather and fixed cushions. measurements: depth-37", width-33", height-33", seat depth-21", seat width-19", seat height-14"